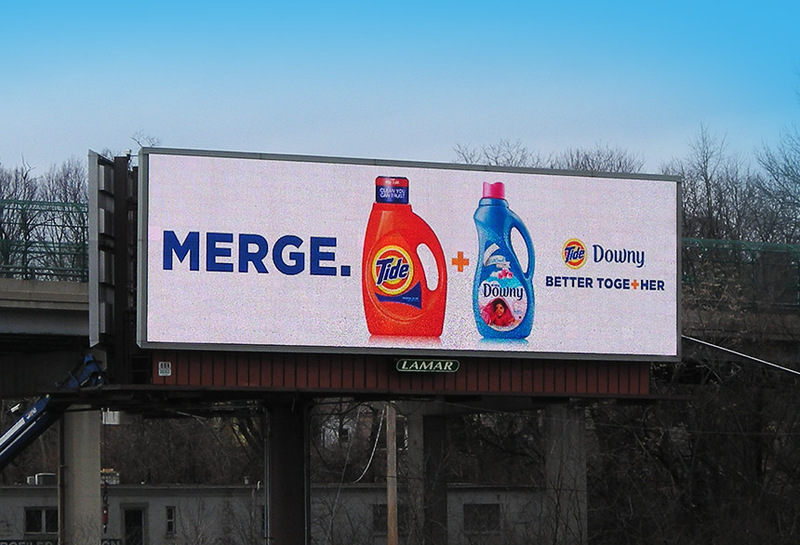 Tide detergent and Downy fabric softener co-hosted an advertisement on a Lamar digital billboard. This display encouraged individuals to purchase these products as a pair. By associating these two products together in one advertisement, consumers would think of one when purchasing the other, increasing sales for both products.